Cut any type of bread into equal size cubes. 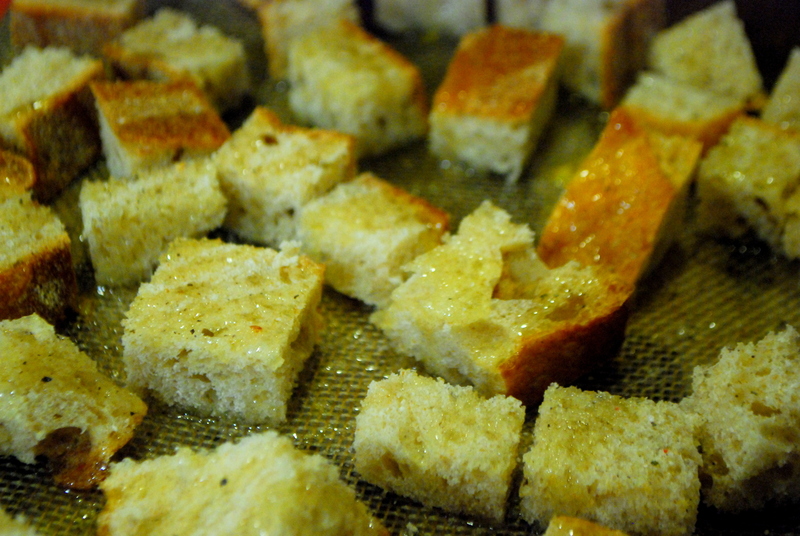 Drizzle with olive oil, use just enough to coat the bread. Sprinkle with salt and fresh cracked black pepper. 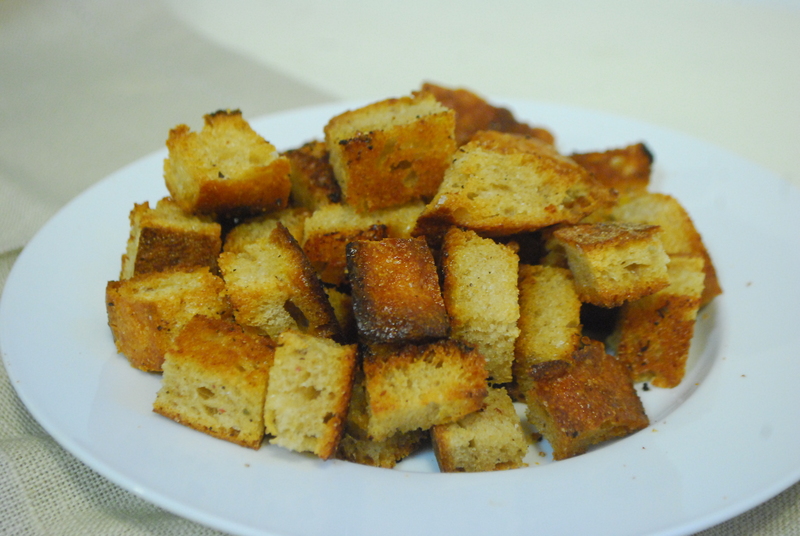 Bake for 10-15 minutes, I prefer my croutons to still be a tad chewy on the inside, so I bake medium-large croutons for about 12 minutes.